Did you know that Cheshire East and other local authorities are trying to create a monopoly on the delivery of swimming lessons? Did you know Everybody leisure wants to gain all the kiddiewinks currently learning through the ASA Learn to Swim’ swimming schemes through swimming club, and transfer them to the ‘Everybody Leisure’ books. This can’t and shouldn’t happen! Particularly because these changes are not proposed for the good of our kiddiewinks; instead these changes are proposed in order to maximise the capacity for income. 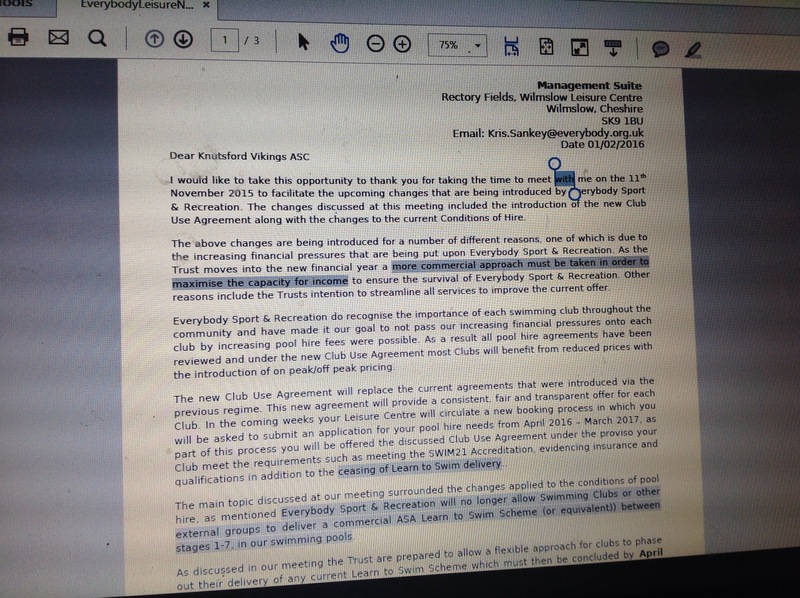 Everybody leisure, are insisting all younger members, still working through the ASA schemes, are transferred onto their books, taking away the element of choice for young swimmers and their families. Swimming clubs are so much more than just swimming lessons. 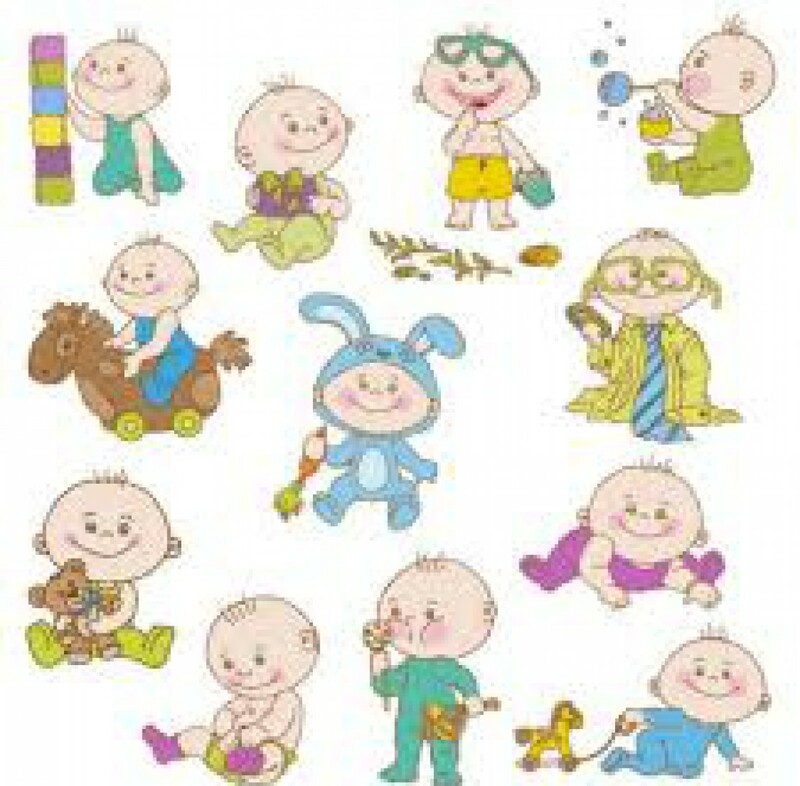 Kiddiewinks matter! Kiddiewink’s swimming progression and enjoyment matter! Kiddiewinks gain experience of competitive swimming and become part of a social community. Offering them not only skills of swimming, but increasing confidence, self-esteem, friendship and self belief. As a child, I swam with Knutsford Vikings, and have many find memories of point score galas and championships, as well as swimming for my town, and enjoying the social aspect it also offered. My keen interest in swimming was solely down to being part of a vibrant swimming club community, and if this had not been available to me at a young age, I very much doubt I would have progressed in the way I did. My own Kiddiewinks, both joined ‘Everybody Leisure’ at the age of three, and my experience of their programmes is not a positive one. The leisure centre offered no flexibility within their schemes, and seemed unable to differentiate for individual needs within the swimming stages. What is more, there was never any consistency, regular staffing changes and skills, meant progression for my Kiddiewink’s was minimal and they began to dread swimming lessons. Staff were unaware of individual strengths and weaknesses due to the staffing changes and some seemed to lack flexibility of approach according to needs of the group. There is something wrong with a system, where a four year old, who can get a dive stick from the bottom of the pool, is jumping in a circle in the pool, wearing three armbands on each arm and blowing bubbles, I kid you not, this was a regular occurrences. That said, some of the teachers were excellent and it is not poor teaching that is my issue.Complaints were rarely dealt with, phone also and emails ignored. Everything and everyone seemed confused all the time. Am I the only one with this negative experience of everybody leisure? Sadly, not! many parents are unhappy with the standard of lessons they were being offered with ‘Everybody Leisure’; I regularly hear parents moaning about the lack of progression and continuity. Holiday swimming lessons were a particular bone of contention. Why are parents expected to pay the same price for swimming lessons, which are of even more substandard quality? Staff holidays and absences, meant stages are often put together meaning, once again,no progression and continuity. Staff often didn’t know the children at all and Everybody Leisure introduced these fancy learning portals, what a fantastic idea, one that should avoid teacher’s not ‘knowing’ their students. Well, it would be a good idea if all staff actually updated them. We went 8 months with no updates at all! All in all, the idea and concept of parents and families having the choice taken away from them is disgusting, especially as it is not to help our kiddiewinks, only financial profit. I for one will not be taking it lying down. My kiddiewinks will not be joining ‘Everybody Leisure’ books, not tomorrow, next week or ever! It would be cheaper and more beneficial to teach them myself, failing that I would rather pay a bit more for private lessons (these would still offer better value for money than everybody leisure). Please save our swimming clubs and give our Kiddiewinks the choice and opportunity to join a swimming club community, and enjoying being part of a team. Letting kiddiewinks experience competitive swimming at a young age, fostering their love of self improvement, and health, may mean swimming clubs are training the young Olympic swimmers of the future. Just for fun, click here to see a video of my little swimmer at 4.5- the same little man who was being made to wear three armbands and was bored rigid! Please join the Twitter stream at @knutsvikings and feel free to lobby councillors, and anyone else you think could make a difference.